Our Farm Table is our classic legged table. We offer many choices of legs and many different species of soft and hard woods. Available in our huge selection of stain and paint colors. Pricing starts at $1,395 for 5’. Our Monastery Table is a trestle table that is our signature design. This table is made of 2.5” - 3” thick old-growth Texas Loblolly Pine. The Monastery Table offers a variety of sizes and stain or paint options. Pricing Starts at $2,595 for 7’. The Baron’s Table is another Masterpiece trestle table design. 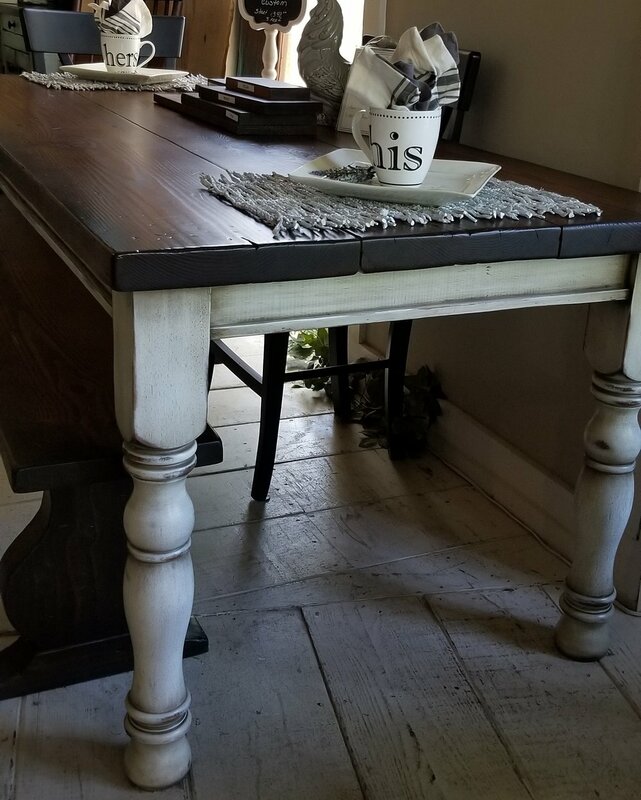 This table offers a classic-look ornate edge and is available in a selection of wood varietals and stain or paint colors. Pricing Starts at $2,695 for 7’. If you have any other questions about pricing, please contact us.